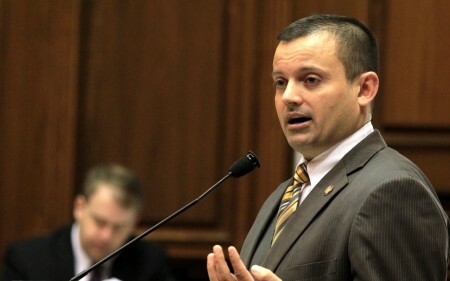 Rep. Jud McMillin, a rising star in Indiana’s Republican Party, abruptly resigned Tuesday. The Indianapolis Star has learned that the surprise resignation came after a sexually explicit video was sent via text message from McMillin’s cell phone. It’s unclear who sent the text or how broadly it was distributed. This entry was posted in Uncategorized on September 30, 2015 by TPNadmin.